I'm not even going to pretend that I know the secret to an authentic mole sauce recipe. I have perused many recipes and have transformed them into something that suits my taste. As you can see, there are so many different ways to make a mole. My absolute favorites always feature chocolate or cocoa though! Give a recipe a try if you have some time, or invent your own version! 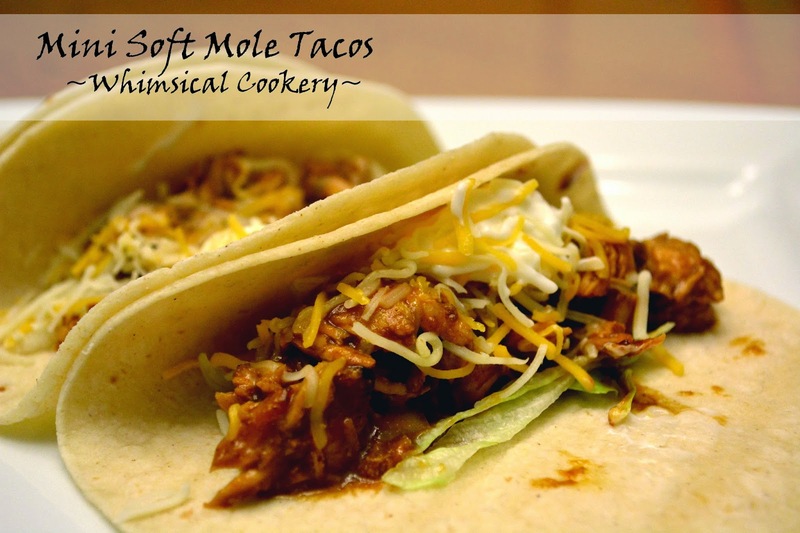 I've served my chicken mole in small white corn tortillas, as I cannot get enough of the flavor and texture they bring to my tacos.